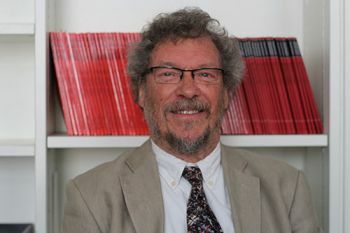 Professor of Legal Education in The City Law School, Nigel Duncan, has for many years edited the winner of the Legal Journals Award 2015, The Law Teacher: The International Journal of Legal Education. He accepted the award, as Consultant Editor, with Matthew Derbyshire, Managing Editor at Routledge/Taylor & Francis. The judging panel also remarked on the potential of The Law Teacher to add significant value to the work of the individual legal professional. The Higher Education Academy (HEA) is a British professional institution promoting excellence in higher education. It is jointly owned by Universities UK and GuildHE and is publicly funded. The HEA advocates evidence-based teaching methods and awards fellowships as a method of professional recognition for university teachers. The HEA is responsible for the UK Professional Standards Framework for higher education practitioners.